Mailed 9/12/18 to Subscribers. Allow 4-6 weeks for USPS delivery. 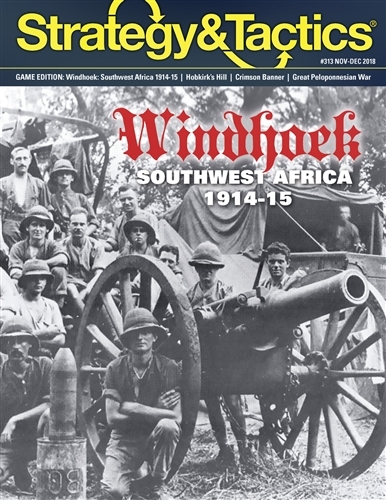 Windhoek: The Campaign in German Southwest Africa, 1914-15 is a wargame of the campaign in which British Empire forces, mainly from the Union of South Africa, conquered the German colony of Southwest Africa. 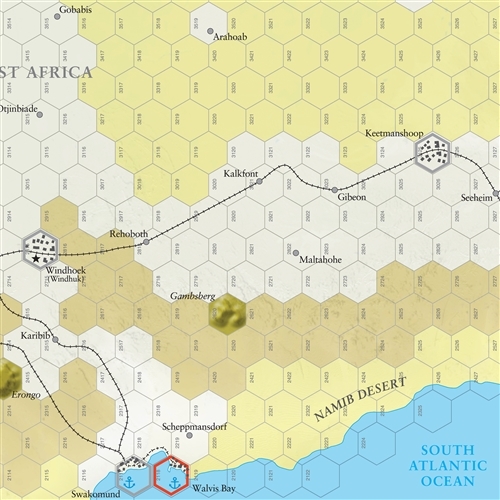 In the original campaign, the British won within ten months, but the campaign could have gone different, as von Lettow Vorbeck demonstrated in German East Africa. 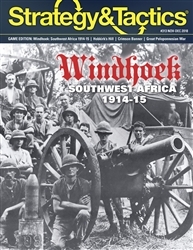 This is a two-player game, in which one side commands the Germans, and the other Allied forces (including South Africa, British and Portuguese colonial). 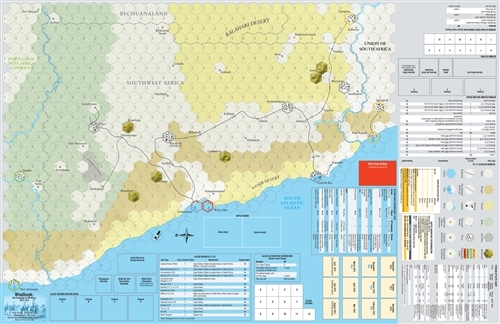 The Allied player must win the game quickly, while the Germans win by delaying the Allies beyond the historical time frame. The central game mechanism is Action Points (AP). 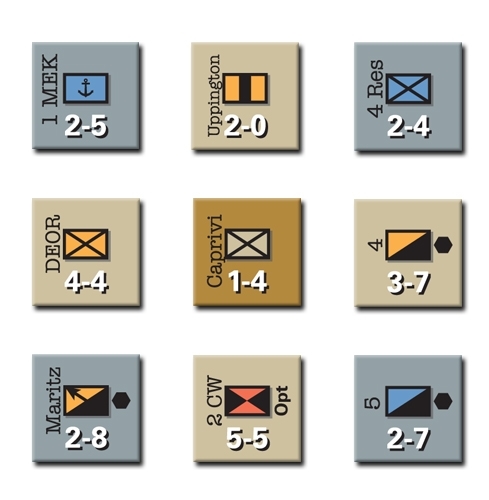 These are a quantification of each sides command and logistical capabilities. Players expend AP to recruit units and conduct various military operations. On the map each hex represents approximately 25 miles.